The old fashioned method of marketing was face-to-face, with emphasis on meeting the customer. Today, companies and businesses small and big are looking at the internet to help advance their enterprises further. Regardless of whether the internet constitutes your entire marketing plan or part of it, it would be safe to say that we ignore the potential of the web as a marketing tool at our own peril. It is easy to create, sustain and build on a brand’s presence and reputation online. Look at the sheer amount of choice one has. Social media sites like Facebook and its pages, micro blogging site Twitter and its handles, blog hosting platforms like Blogger and WordPress and search engine rankings. One can harness the power of all of these to attract new customers and build on the existing one. Search engine marketing is an essential part of a company’s marketing plan and rightly so. It is a specialized sort of service that will give your website higher rankings in search engines, thus improving its visibility, leading to better conversion and sales. It is relatively simple to plan and execute SEO and has many benefits to boot. But like any plan, it has both advantages and disadvantages. 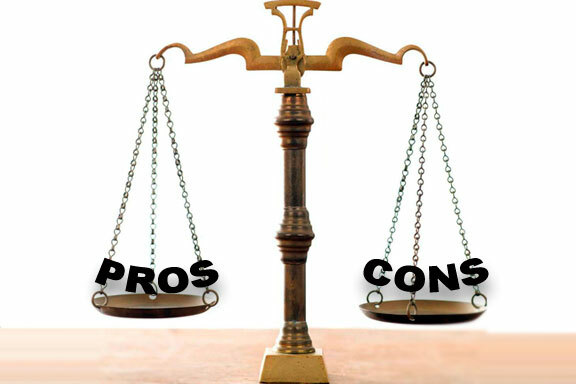 Let’s evaluate the pros and cons of search engine marketing so you can make an informed decision. This is the biggest advantage of SEM. With the help of well-chosen words, you can direct people to your site which will in turn help to create a better ranking for the site. Especially for smaller, locally based businesses, SEM can be a great way to market products. A very large volume of online search is conducted for information at a local level. If a company has effective SEM in place, this is a great chance to grab and capitalize on. With a good SEM in place, you can spend your time a lot more judiciously. This doesn’t mean that traditional forms of marketing can be done away with, but focused attention is possible with SEM. Search engine optimization is about carefully chosen words and phrases. That means the audience coming to your site is quite specific too. This could hamper your reach in some aspects. SEM is not as simple as setting up a website, filling it with words and sitting back to wait for the magic to happen. It needs monitoring and updates, sometimes on a daily basis. This is to ensure that your rankings stay high at all times. Depending on the size of the business, you may or may not have the time or resources for it. There is a strict code of conduct when it comes to SEM and not following it can get a website demoted in the search engine rankings or blacklisted. This can harm the reputation of the company in unimaginable ways. Thus, SEM, like any other marketing plan has two sides to the story. Exercise your discretion so you get the most out of it. This guest post is brought to you by Lance Goodman of dishtvoffer.com, a site that offers savings and current information on dish hopper upgrade and dish tv special offers .